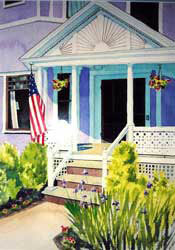 Our Queen Anne Victorian inn was built in 1895 by Edward Sinclair. Edward, a wood craftsman and building contractor, built the home for his bride-to-be, Ruth. At the time Edward was in his early 30’s and Ruth just 16 years of age. 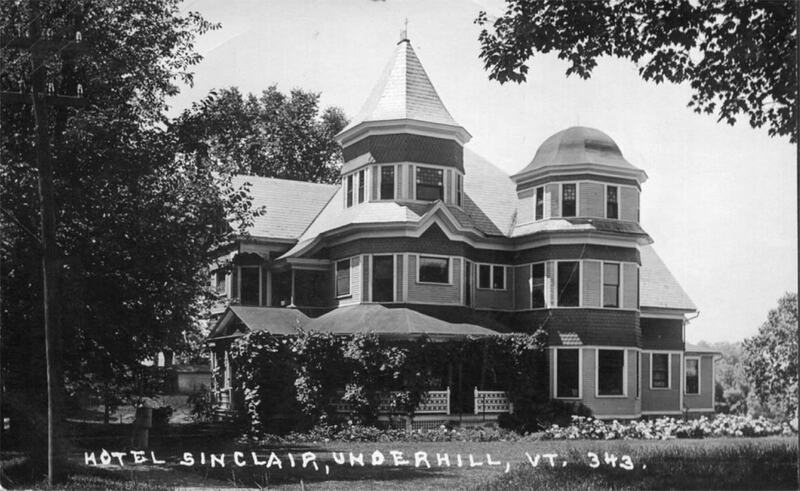 The Sinclairs’ home was one of several Victorian period homes Edward built in the surrounding Jericho / Underhill area. However, no other home has the detail or exquisite woodwork of the inn. Ruth and Edward enjoyed the privacy of their residence with their young daughter until nearly the turn of century when a nearby small hotel burned down. 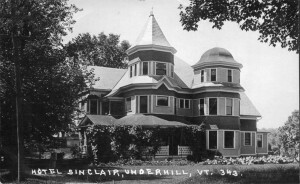 The Sinclairs then chose to open their home to weary travelers; two large turrets were added to the house and it began operating under the name of “Hotel Sinclair.” After Edward’s death in 1933, the house returned to being a private residence. Ruth eventually ventured off to Ohio to live with her daughter and sold the house in 1957 to a couple that opened “Rest Haven.” A limited number of select ladies found refuge in the large home for several decades. 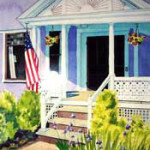 The home was converted into a bed and breakfast in the late 1980’s when Jane and Scott Smith purchased the house. Over the next 15 years the property underwent extensive restoration and renovation. Because the house has been welcoming the public for so many years, it’s condition is immaculate. Original crown moldings, fret work, hardwood flooring, wainscot and stained glass windows have all been preserved. Antique furnishings complement the various oriental rugs throughout the inn. The living room and fireplace beckon you to relax and then crawl into bed under old fashioned spreads or duvets. We invite you to tour the inn today.